interesting Archives - Yetter Insurance Agency, Inc. 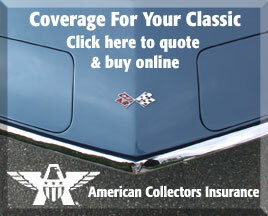 When we think of insurance, we imagine home, auto, and even boat coverage. However, many don’t realize just how far you can go as to what you can insure. From a model taking out a policy covering the damage to her legs, to a comedian taking out a policy just in case they lose their sense of humor, oddities in the world of insurance aren’t that unusual after all. Here are just a few of the strangest things people have insured in the past. The most expensive insurance policy issued for a cigar was written by Lloyd’s of London. The cigar is over 12 feet long and was made from more than 15,000 tobacco leaves. In case you were wondering, the cigar holds the world record for the longest cigar. It is possible to purchase insurance against alien abductions. Around the US, more than $10 million dollars in alien abduction insurance has been written, with higher payouts available for people who are abducted frequently. Keep in mind that this is very difficult to prove. Bruce Springsteen, well known for his unique vocal qualities, has his voice insured for an impressive $6 million dollars. Famous model and America’s Got Talent judge Heidi Klum has her legs insured for $2.2 million. In the 1940s, Twentieth Century Fox had insured Betty Grable’s legs for $1 million each—that is even more impressive! American comedian Rich Hall has an insurance policy that protects him for up to $1 million dollars if he loses his sense of humor. The Santa at the Macy’s Department Store in New York has his beard insured for an undisclosed amount. However, we can understand why. If you have something *ahem* unusual that you would like to insure—or to discuss more traditional insurance policies—then give our experienced team at Yetter Insurance a call.